Tired of watching your agents twiddle their thumbs between calls? 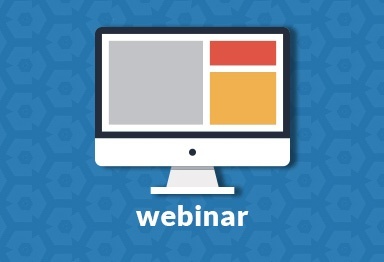 Wish your inbound and outbound teams could be more flexible depending on call volumes? 3CLogic’s blended solution allows you to enhance your call center’s overall productivity by enabling your agents to both make and receive calls as demand and strategy dictate. No more unnecessary divisions of agents and workstations. Your resources work efficiently all of the time. Give your agents the power and flexibility to reach or be reached in any situation. Recognize the importance of your customers’ time with an advanced and intuitive IVR platform capable of facilitating self-servicing or quickly gathering client information prior to any interaction. Set, manage, and adjust call priorities to automatically ensure the most urgent inquiries are always answered first. Maintain quality control standards across your entire call center with 3CLogic’s user-friendly call recording and playback features. Within a single user interface, automatically populate any customer record stored within your CRM, ticketing, or WFM solution before initiating outbound campaigns. Contact clients directly from your CRM, ticketing, or WFM solution with the simple click of a button, removing the need to manually dial numbers. Finally a one-stop-shop for all your voice needs. 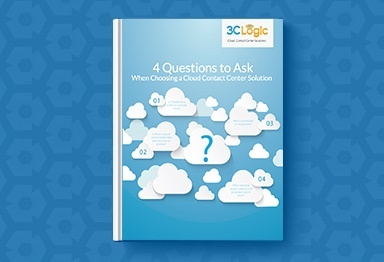 With 3CLogic, enjoy the best of both worlds with our complete cloud based contact center solution seamlessly configured with your PBX solution to meet all your back office requirements. 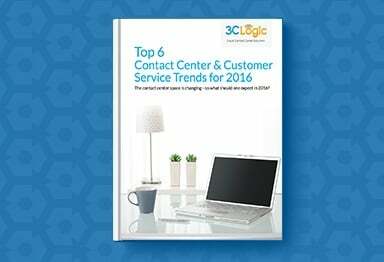 Not all cloud contact center solutions are created equal. Find out what makes 3CLogic special.